Drug addiction in America represents a huge problem. Drug abuse costs American taxpayers millions of dollars in health care, tears apart families, and ruins the lives of countless people everyday. It is due to these harmful properties that illicit drugs are illegal in America. However, there are theories garnering significant traction that call for the decriminalization of all drugs in order to remedy the drug abuse problem in America. 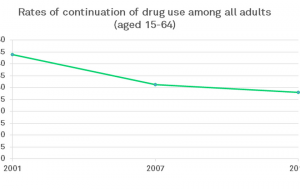 While this may seem counterintuitive, countries like Portugal and Switzerland have seen a correlation of decreased drug abuse after implementing drug decriminalization policies. Ultimately, the only way to truly determine whether decriminalizing drugs in America would lead to a decrease in drug abuse would be to do a randomized experiment. However, the design of an experiment of this nature would be impossible to produce. It would involve randomizing groups of people into two different countries, one where drug use is completely legal and one where all drug use is illegal. This would be incredibly difficult to create, as it would involve uprooting people and moving them to a different country for an extended period of time, as well as implementing national policy in favor, or against legalization of drugs. Clearly, this is not an experiment that can be realistically conducted, however we can gather evidence for a hypothesis through observational studies of countries that have already implemented some sort of drug decriminalization within their borders. When conducting these observational studies, there are three potential conclusions that could be reached. One, the null hypothesis- that decriminalizing drug use has no effect on drug abuse, could be deemed accurate and accepted. Alternatively, that null hypothesis could be rejected, leaving two remaining alternative hypotheses. One, that decriminalizing drug use reduces the ill effects of drug abuse, or two, that decriminalizing drug use increases the effects of drug abuse. First, the country of Portugal can be used in an observational study due to their unique drug policy. 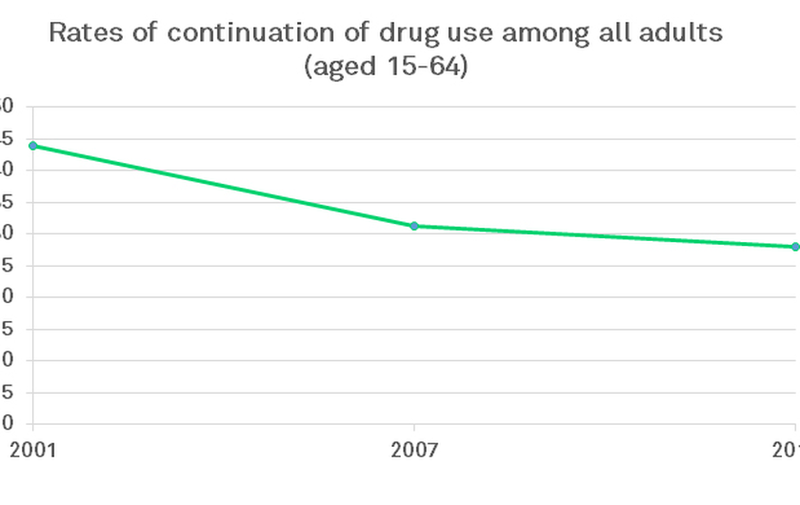 In 2001, Portugal decriminalized all drugs. 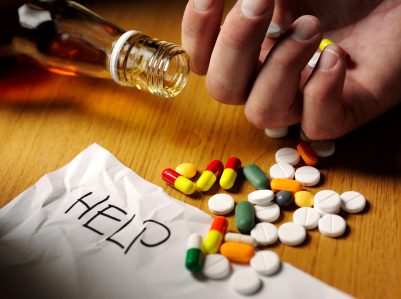 Today, if a person is found with any drugs, they are sent to a committee made up of a lawyer, doctor and social worker called a Commission for the Dissuasion of Drug Addiction. They are either given a fine, sent to a rehabilitation class, or, often sent home with no penalty at all. When examining the statistics, ill effects due to drug abuse: frequent drug use, drug-related deaths, HIV infections, and imprisonment on drug related charges have all decreased greatly following the decriminalization of drugs. However, Portugal may be an isolated case where decriminalization was effective, similar in scientific gravity to an anecdote. It does not necessarily create a strong correlation between decriminalization and decreased drug abuse. Next, Switzerland can be included in the observational study due to their drug policy. Switzerland has long had a unique stance on drug use, recently decriminalized the use of marijuana as well as providing opiate substitutes and clean needles to heroin addicts. HIV infections, as well as death related to drug overdose have both been reduced by half, leading people to applaud Switzerland’s system. The opiate substitutes, issued by the government through health care facilities, are also successfully being used to wean people off of heroin addictions, with health care experts proclaiming Switzerland as a model to be used for the rest of the world, however they may be speaking prematurely. It is impossible to tell if the decriminalization is actually leading to a decrease in drug abuse without a proper experimental trial, as there could be a number of confounding variables effecting the situations. Anything from geological location, to cultural factors, to relative access to illicit drugs are not being controlled in these observations and therefore could be affecting the observed results. Also, while several countries in Latin America, such as Argentina, Uruguay and Mexico, among others, have taken steps towards the decriminalization of drugs, yet still experience huge drug problems with no observable improvement. It is conflicting anecdotes like these that make the issue of the benefits or drawbacks of decriminalization of drugs so difficult to judge. Ultimately, while we can conduct observations of countries in various stages of drug decriminalization, the combination of confounding variables as well as conflicting anecdotes makes it impossible to come to a strong conclusion, or even correlation, about the effect of drug decriminalization on drug abuse. The only way to come up with strong results would be to conduct a controlled experiment, however the design of this potential experiment would be nearly impossible to properly execute. Therefore, science is unable to come up with a substantial conclusion on this issue, and we are still left with the question, would decriminalization of drugs really help drug abuse? This entry was posted in Uncategorized on October 17, 2016 by Wesley Scott Alexander.